CUT YOUR MOBILE PHONE BILL IN HALF... GO SIM ONLY! Cut your mobile bill in half… Go SIM only! CUT YOUR MOBILE BILL IN HALF! A SIM only deal is a mobile phone plan that includes calls, texts and data for a small monthly fee, but does not come bundled with a phone. The main difference is that with a SIM ONLY plan you do not receive a phone – just the SIM. As a result of giving you the freedom to purchase a handset SIM FREE, voice and data plans could cut your mobile bill in half! Our entire range of outstanding SIM only options means no complicated schemes for funding hardware and accessories. Fed up of being tied down? 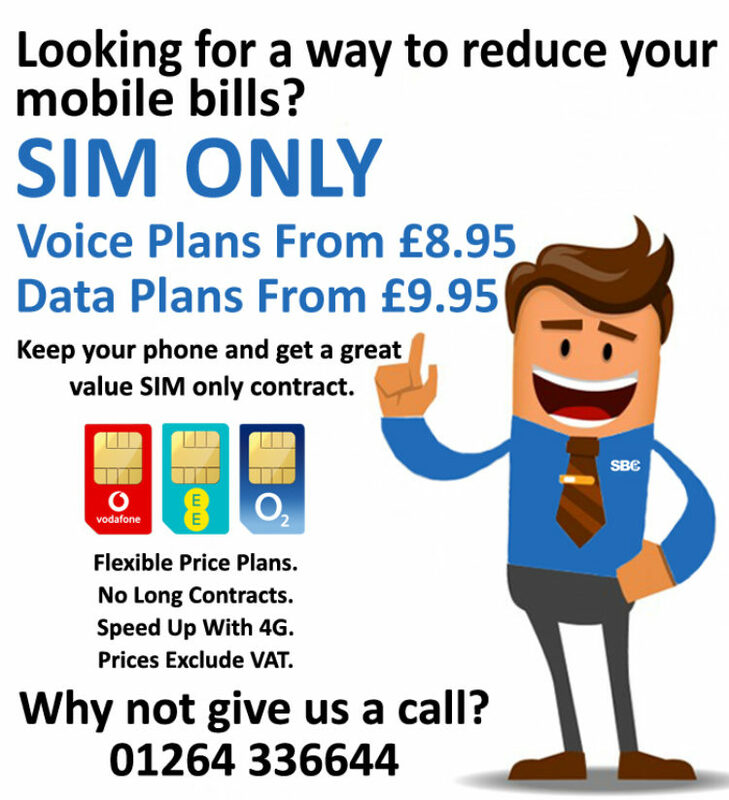 With our fantastic range of SIM ONLY plans, there are no long term contracts to worry about. With the SBC Mobile plan, we only require 90 days notice to cancel – no revenue share schemes, just simple, honest pricing. Click here to see our best value SIM deals. OUR BEST SELLING SIM ONLY PLAN - ONLY £19.95 + VAT PER MONTH. With our best selling price plan you will get.. Unlimited UK minutes. Unlimited UK texts. 20GB Mobile Data 4G. 50 Non-Geo Minutes. 50 International Minutes to EU, USA & Canada. 5 Star Review – SBC is nothing short of amazing!